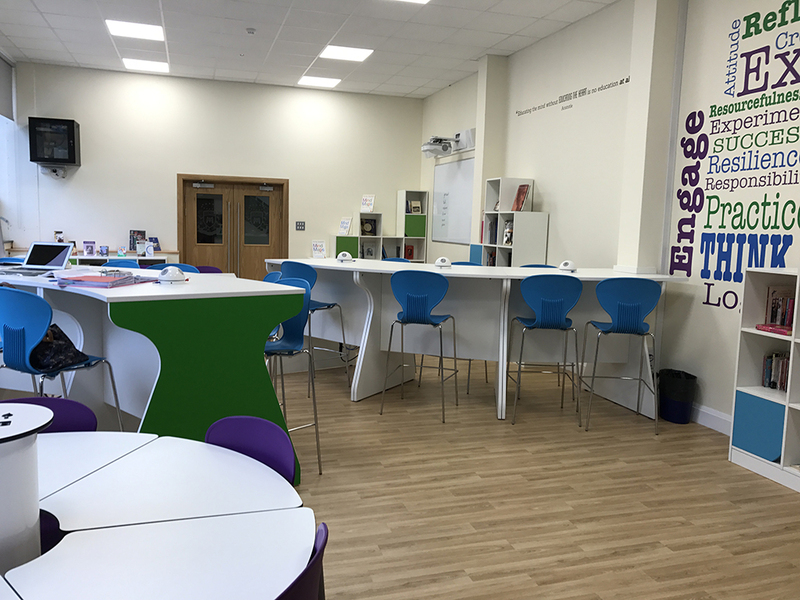 zioxi were delighted to work with The Marist School to upgrade their existing library into an innovative LRC. 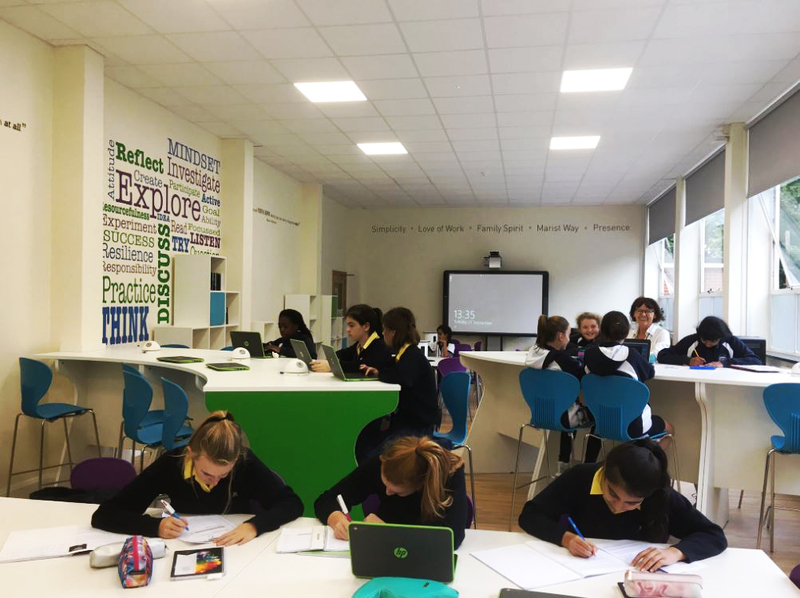 The schools desire was to provide their students with the facilities to use technology as part of their learning. Their current library was underused and very traditional, and students tended to use the IT suites rather than the library for studying. 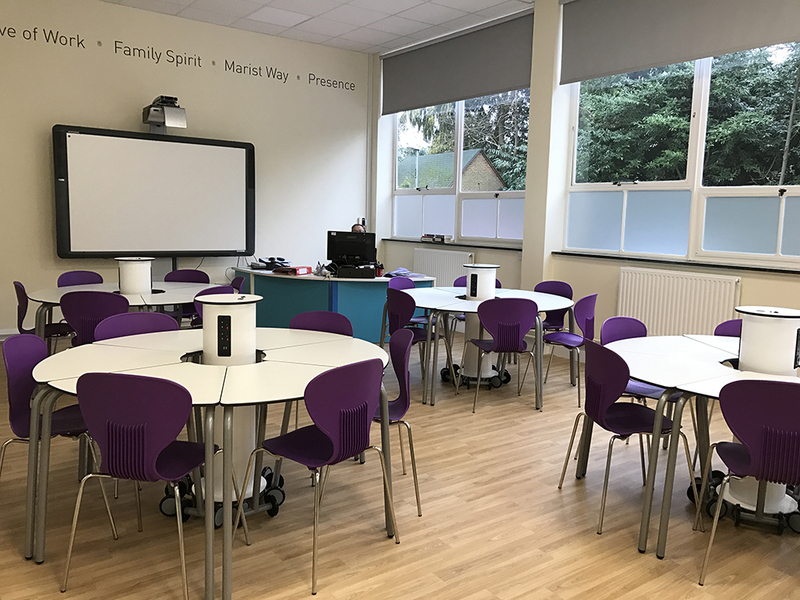 For the new LRC space, they wanted to incorporate a combination of reading, BYOD charging and a classroom for homework, clubs and meetings. 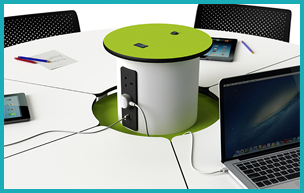 zioxi used t41s combined with Rechargeable powerHubs. 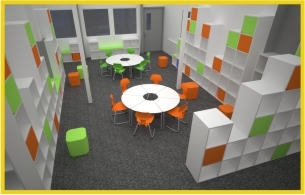 Storage space and colour was added using zioxis CubeWall, integrated with soft seating and coloured doors. 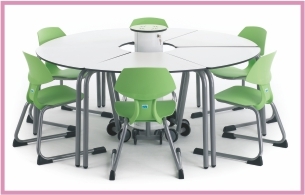 zioxi also designed bespoke curved poseur height desks with integrated “We’ve been really delighted with the new LRC. 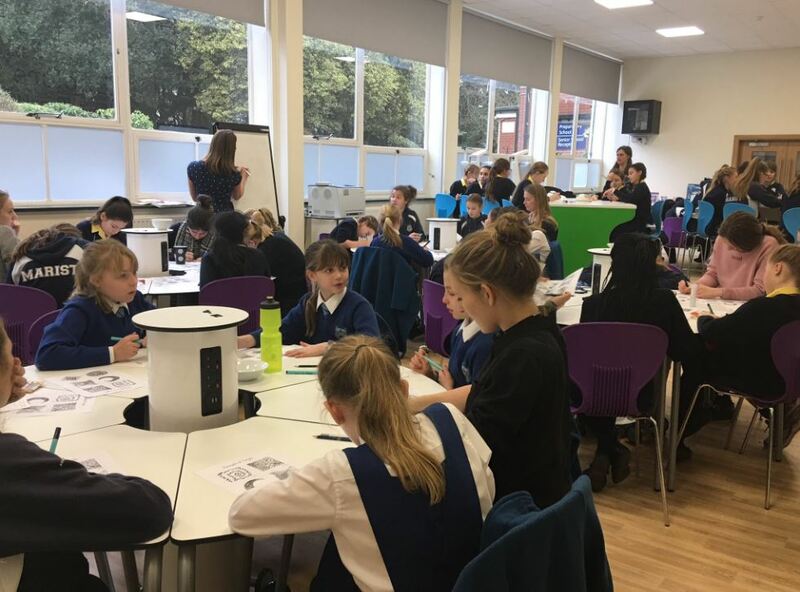 It has changed from being a traditional library to a space that incorporates girls studying and using resources. Just being in the room with a fresh look has changed how they approach learning”.